This article is published in the November 2015 issue. Part of CRA’s mission is to facilitate the development of strong, diverse talent in the field. 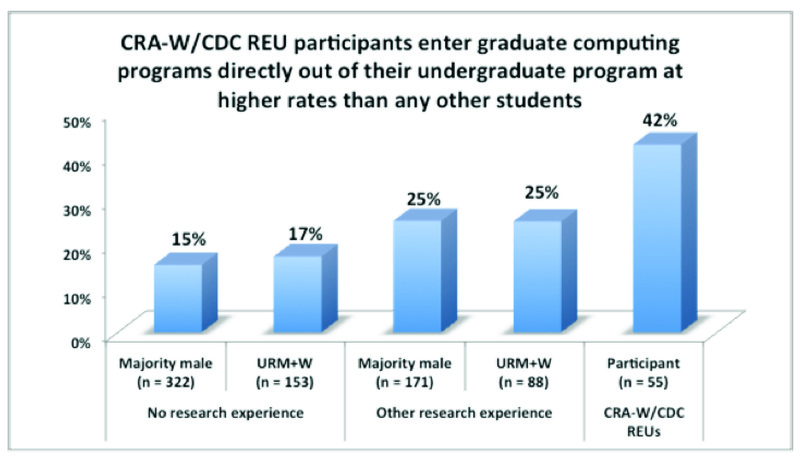 CRA takes action to help increase and strengthen the computing workforce through programs such as the Collaborative Research Experiences for Undergraduates (CREU) and Distributed Research Experiences for Undergraduates (DREU) programs. 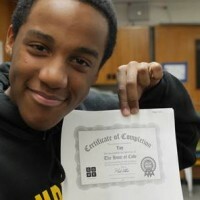 The 2014 Taulbee Survey reports 152 African-American students enrolled in computer science Ph.D. programs–only 1.3 percent of the total students enrolled. Despite these low numbers, there is not a shortage of success stories. Morehouse College, a historically black institution, produces 13 percent of the male African-American Ph.D. students. I recently caught up with Kinnis Gosha, assistant professor of computer science and director of the Culturally Relevant Computing Lab (CRCL) at Morehouse College. Gosha has a Ph.D. in Human-Centered Computing and started the CRCL in 2011. The lab investigates research problems centered on creating innovative computing technologies to solve cultural problems and issues. 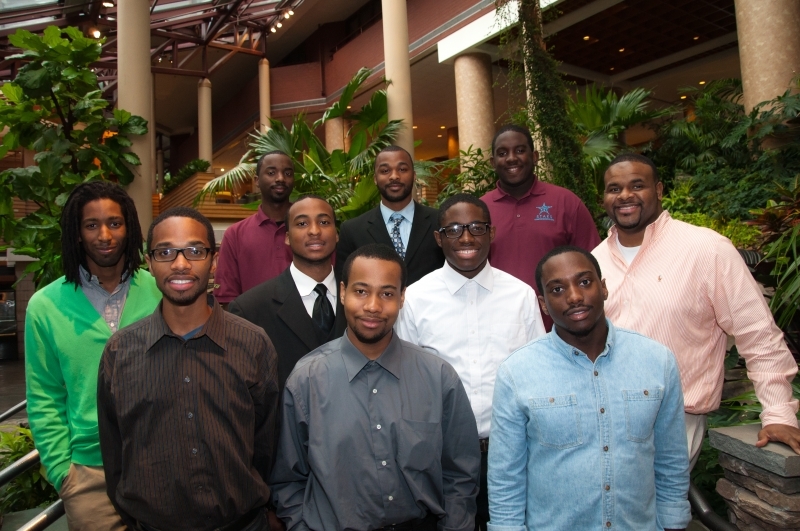 Kinnis Gosha (second row, far right) with students from the Culturally Relevant Computing Lab at Morehouse College. The CRCL is unique because it recruits students based on potential, not just GPA. This gives more opportunities to students who possess interest and talent, but may be weaker in other areas. “We want everyone to be exposed to research. It helps show individuals what grad school is really like and what jobs are available for those with advanced degrees,” says Gosha. 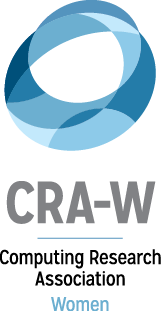 CREU and DREU are joint projects of CRA-W and the Coalition to Diversify Computing (CDC), with support from the National Science Foundation. 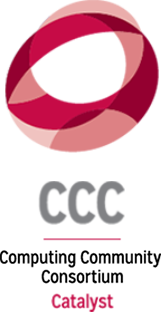 CREU students collaborate with each other and with their mentors on research projects during the academic year, and students are strongly encouraged to present their research at national or regional conferences. The CREU and DREU programs promote accountability by requiring the mentor and students to send progress reports on their work in order to receive student stipends. Gosha credits the CREU and DREU programs as a factor in the success of CRCL. When Gosha first started the lab four years ago, CREU supported many of the initial projects. Since then, several of the students working on those projects have gone on to enter Ph.D. programs. Gosha believes the availability of travel funds to attend conferences to present research or experience events, such as the Richard Tapia Celebration of Diversity in Computing, provides encouragement to the students. The students may not otherwise attend these events because funding is not always available from their university. 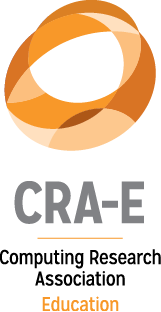 CRA evaluates the effectiveness of intervention programs such as CREU and DREU through its Center for Evaluating the Research Pipeline (CERP). 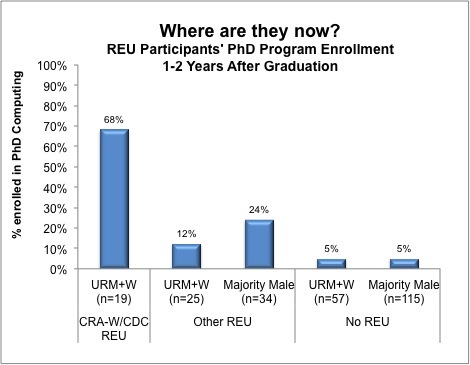 Below are three informational graphics that show the outcomes of students who participate in research experiences for undergraduates (REU) programs: Where Are They Now? 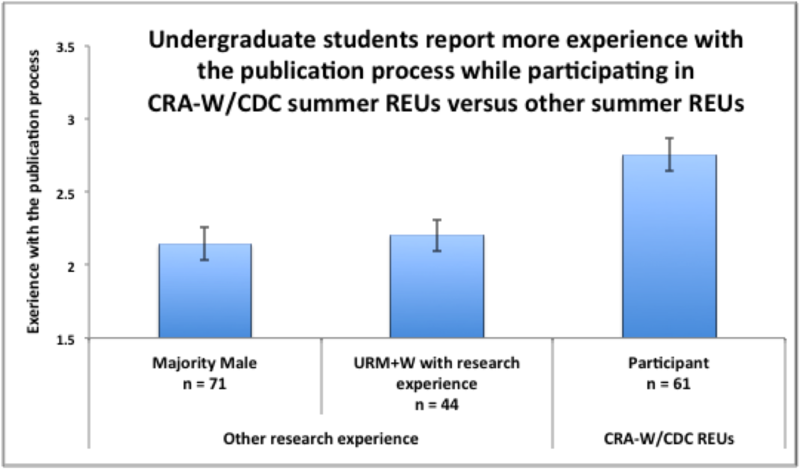 REU Participants, CRA-W/CDC REU Participants Plan To Enter Graduate Programs At A Higher Rate, and CRA-W/CDC Summer REU Programs Report More Experience With Publication Process. You can also view CERP evaluation reports on REU programs. The January 2016 CRN will feature a new infographic on the benefits of CREU and DREU for minority students.